Royal Dutch Shell's return to oil drilling in the U.S. Arctic for the first time since 2012 took a big step forward on Monday when the Obama administration approved the company's exploration plan. The Department of Interior conditionally approved Shell's plan to explore for oil in the Chukchi Sea off Alaska. Shell has already spent about $6 billion on exploration in the Arctic. Shell proposes to drill up to six wells in water about 140 feet (40 meters) deep, using two vessels that can serve as relief-wells for each other in case of an emergency. "We have taken a thoughtful approach to carefully considering potential exploration in the Chukchi Sea," said Abigail Ross Harper, the director of the Bureau of Ocean Energy Management, in a release. As part of the conditional approval, Shell must obtain permits from the federal government and the state of Alaska in order to begin drilling this summer. Shell has not drilled in the Arctic since a mishap-filled 2012 season, when the company was forced to evacuate its Kulluk drill rig, which eventually ran aground. 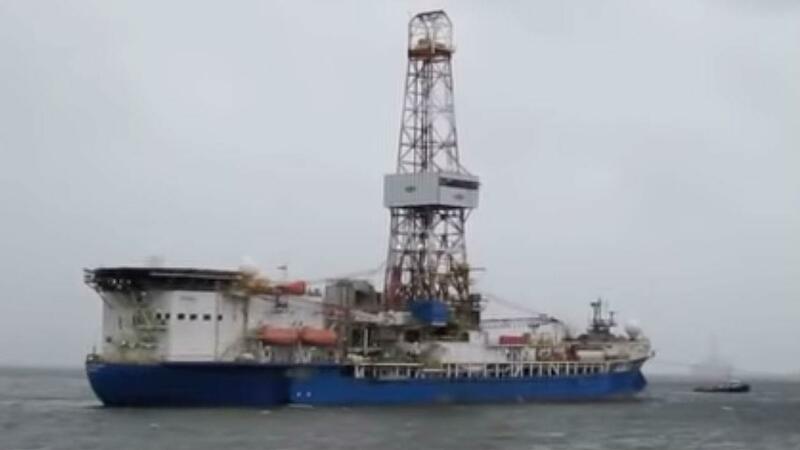 One of the vessels that Shell plans to use this summer, the Noble Discoverer, also had problems in the harsh Arctic waters in 2012. At one point it had to be towed to port after experiencing vibrations in a propeller shaft. Several environmental groups are concerned about drilling in an harsh, pristine region with little capacity for emergency response. "Our government has rushed to approve risky and ill-conceived exploration in one of the most remote and important places on Earth," said Susan Murray, an official at Oceana, a leading voice against Arctic drilling. Even if Shell gets all the permits it needs, its Arctic aspirations may face a hurdle further south. Last week, the city of Seattle ruled that its port must apply for a permit to allow Shell to make it a hub for drilling rigs headed to the Arctic.